Royal Designs 5-Inch chandelier shades are handmade. You can use them for your chandeliers, wall sconces or small accent lamps. These lamp shades are highest quality and sure to bring a sense of style to any room. Fitter: FLAME CLIP (FC) Fitter designed to fit over a Candelabra bulb base. 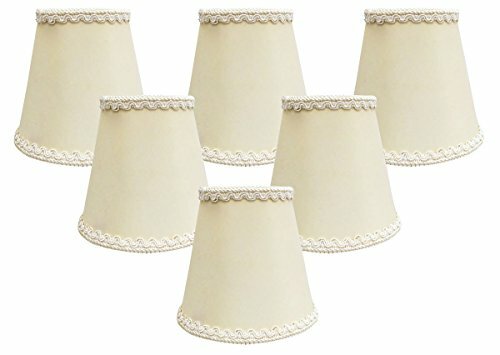 (Most clip-on lampshades are designed with double clip). Suggested maximum wattage is 60-watt candelabra bulb.